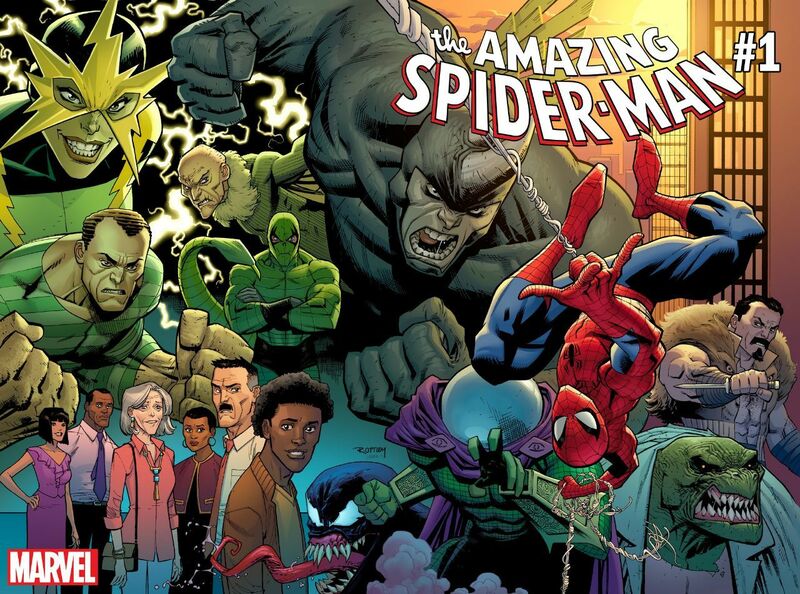 Nick Spencer and Ryan Ottley officially taking over Amazing Spider-Man – AiPT! The news broke on comicbook.com this morning. Spencer had been rumored to pen the tales of the web-slinger after the prolific Dan Slott finishes his run this year, but now we know the Invincible artist will be joining him as an essential piece of the puzzle. “Ryan does the action sequences better than just about anyone,” Spencer told the site, adding that Ottley can focus in on quieter moments, too, through the use of dense panel grids. Spencer said he’d be bringing Spider-Man “back to basics,” while still acknowledging what Slott had done. Part of that is mirroring what happens in costume with his own personal life. Peter Parker is the everyman character, so you’ll see what the Marvel Universe looks like through that perspective. And yes, your favorite supporting characters like J. Jonah Jameson, Aunt May, Mary Jane Watson and Black Cat will make appearances. “I can say pretty much all of your favorites will be making an appearance at some point,” Spencer said. Nick Spencer and Ryan Ottley’s Amazing Spider-Man #1 is due out in June.